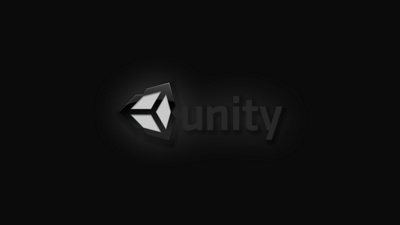 You could say I’m pretty green when it comes to knowing my way around the Unity game engine. 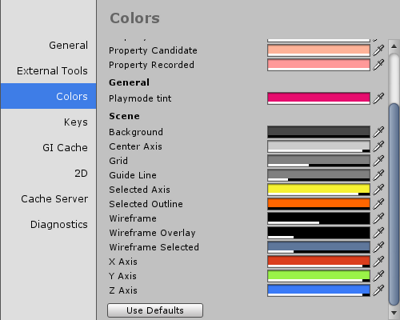 Come with me on a journey through some core UI elements and a few silly examples, some of which may actually be practical in your next Unity project. I’m going to do you a real solid. Trust me, you’ll want to update the Playmode tint to a really obnoxious color like #E70C6EFF so that you know for a fact when you are in Play mode. Props to @DJFariel for that tip. This is something that drove me batshit crazy! Visual UI: These are elements like Button, Image, Text, Toggle, etc. Rect Transform: Rect Transforms are reference points for anchoring, scaling, resizing, and rotation. Canvas: UI elements are children of a canvas. You can have multiple canvases in a single game scene. 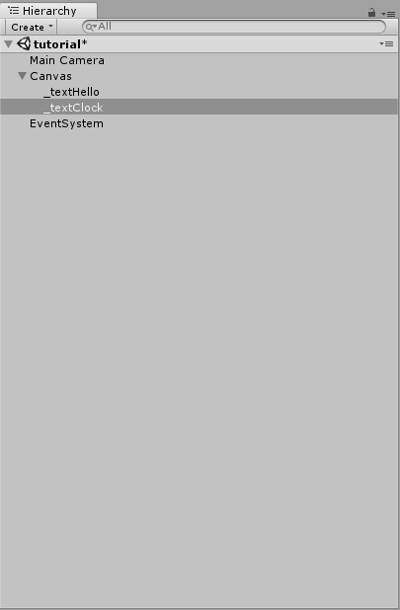 If you have no canvas but add some other UI GameObject, one will be automatically created and your UI GameObject will become a child of it. World Space: The canvas is a flat plane in the Camera scene, but the plane is relative to the camera’s orientation. Screen Space - Camera: The canvas is a flat plane and is always facing the camera. Screen Space - Overlay: UI elements are displayed without reference to a camera. Since I’m three beers into this post already, I don’t really want to think in a 3-Dimensional space. So let’s render the canvas using Screen Space - Overlay mode. In a new 2D project, let’s Add a Text object to our scene. 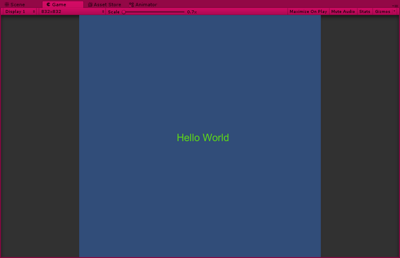 GameObject | UI | Text and let’s name it _textHello. Now let’s run the game and take a look at what we have done so far (notice the obnoxious pink color that overlays the Unity UI around the game scene). Anybody Know What Time It Is? Let’s build a digital clock. 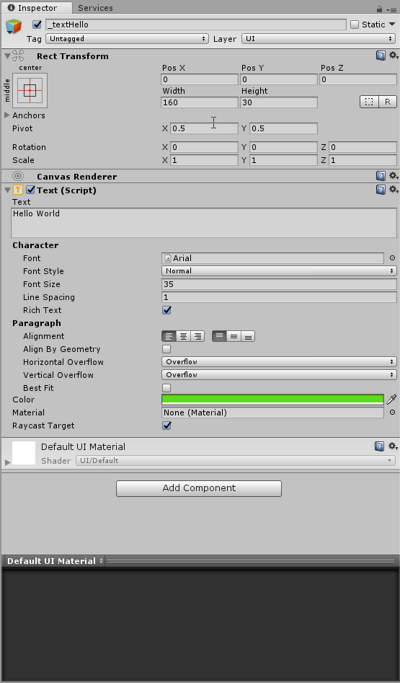 Add a Text objects to our scene. GameObject | UI | Text and let’s name it _textClock. Also, we need to set the Rect Transform anchor to middle/center and the Pos Y position to -60. We want the text of our clock to tell us the current time. To do this, we are going to write a C# script. Create a folder named Scripts create a new C# script called DigitalClock. Now we’ll drag our DigitalClock script to our _textClock GameObject. When you run the game, you can watch the clock update on the screen. About Dennis Eugene Stepp, Jr. I am a software developer in Knoxville, TN. I'm also a game/web developer with Unibear Studio, and stage manager/web developer with the Earl Park Fall Festival Foundation. My interests include: process and workflow optimization, automation, JAMstack technologies, software architecture, object oriented languages, and game development. I also collect retro PC/console video games, dabble in gardening and woodworking. 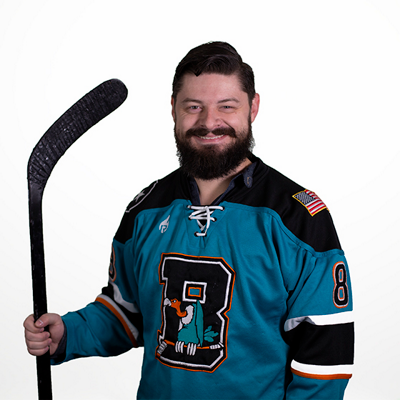 I have a passion for craft beer, especially while playing recreational ice hockey.